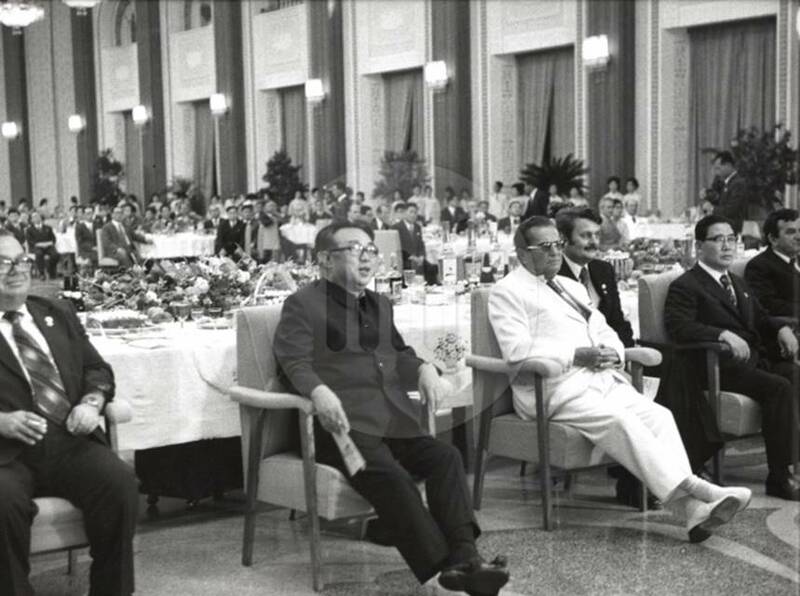 1977 – Marshall Twitto during a state visit to North Korea, seated next to leader Kim Il Sun during a cultural art performance. WHAT DID TWITTO TWEET DURING THE SHOW? My crowds at cultural performances in Belgrade are much bigger than this. Don’t believe the fake news! So that thing we talked about earlier? Do we have a deal?